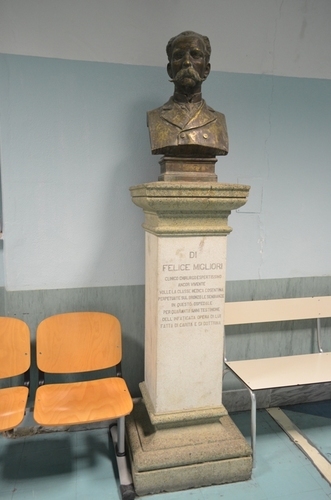 This bronze bust of Felice Migliori is located in the General Surgery department's waiting room of the “Ospedale Civile dell'Annunziata" in Cosenza. 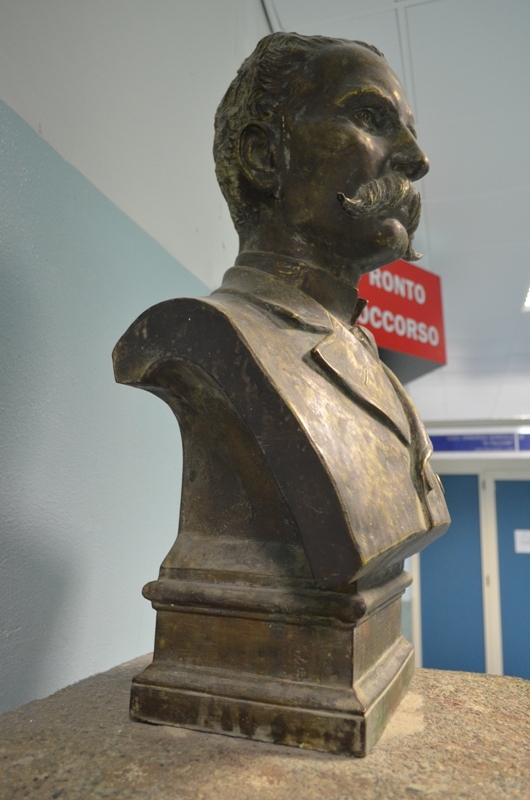 It was erected in his honor by the Hospital Administration for his great passion and his hard work to realize a benchmark for southern Italy healthcare system1. 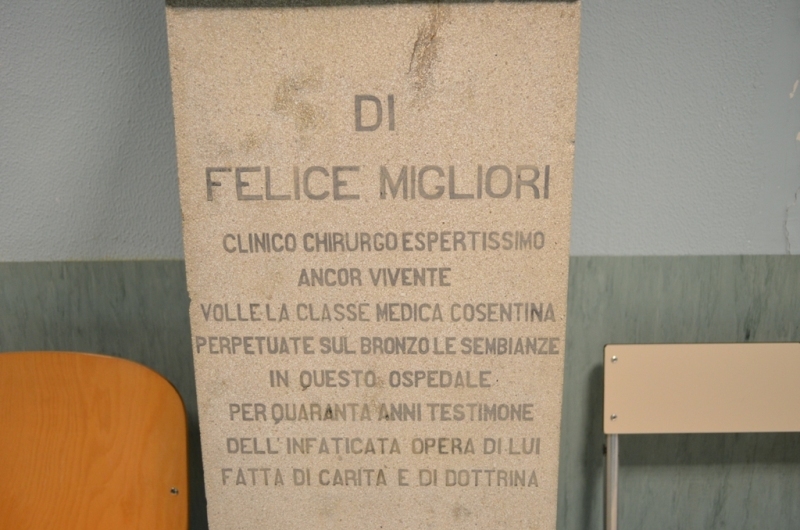 The inscription on the front side of the pedestal reads as follows: "DI/ FELICE MIGLIORI/ CLINICO CHIRURGO ESPERTISSIMO/ ANCOR VIVENTE/ VOLLE LA CLASSE MEDICA COSENTINA/ PERPETUATE SUL BRONZO LE SEMBIANZE/ IN QUESTO OSPEDALE/ PER QUARANTA ANNI TESTIMONE/ DELL’INFATICATA OPERA DI LUI/ FATTA DI CARITA’ E DI DOTTRINA”. 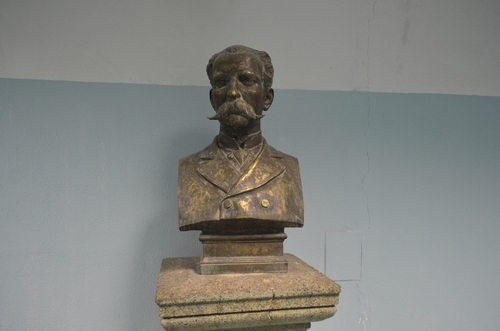 The same words can be found on another bust in the courtyard of the Hospital . - Francesco Gallo, I Grandi Medici Calabresi, da Alcmeone a Dulbecco, Imprimitur, Padova 2012, p. 156.